I refuse to call Thursday through Sunday rest days because I was more sore after that weekend than I usually am after running. So you’ll probably notice I did some weird workout on Tuesday. I read about hill skipping on competitor.com. It sounded fun, so I decided to try it. So, yeah. Skipping up a hill is much harder than just running up the thing. I picked that hill on the greenway that I absolutely hate because it’s pretty steep (about a 15% grade) and a decent length (around 0.15 mile). I warmed up by lightly jogging to the hill (about a quarter of a mile from where I parked). Then skipped up the hill. It took me about 2 minutes and 45 seconds to get up it. And, honestly, I couldn’t make it the whole way. I paused in the middle to catch my breath and again just before the end. It was hard. I jogged back down, then skipped up again. This time took me even longer (over 3 minutes) and again I had to pause halfway up to catch my breath. After jogging down again, I decided to prove to myself that skipping was actually harder than running, so I ran up the thing in a minute, 43 seconds. 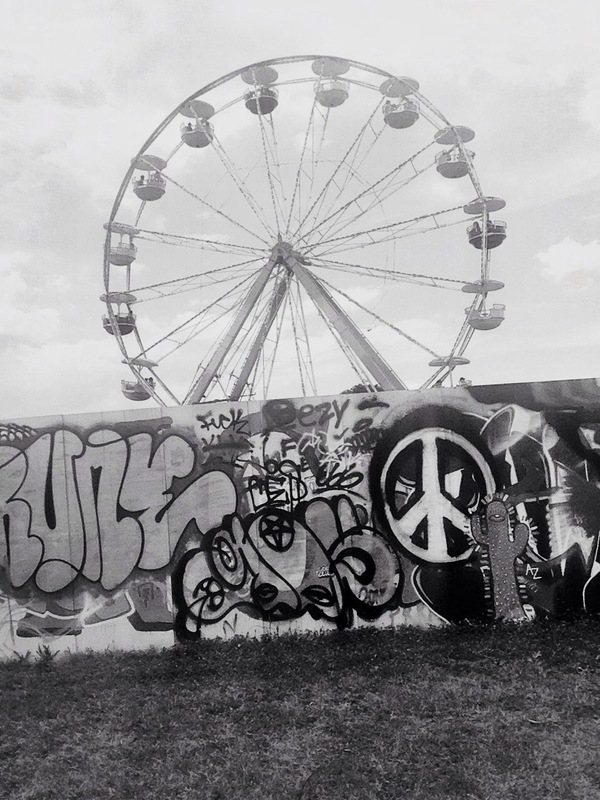 Without pausing. Yeah, still not fun, but easier. My plan is to include hill skipping every week or two. I’m hoping by the end of the summer (or end of the year, who knows), I can skip up the thing without having to take a break for multiple intervals. 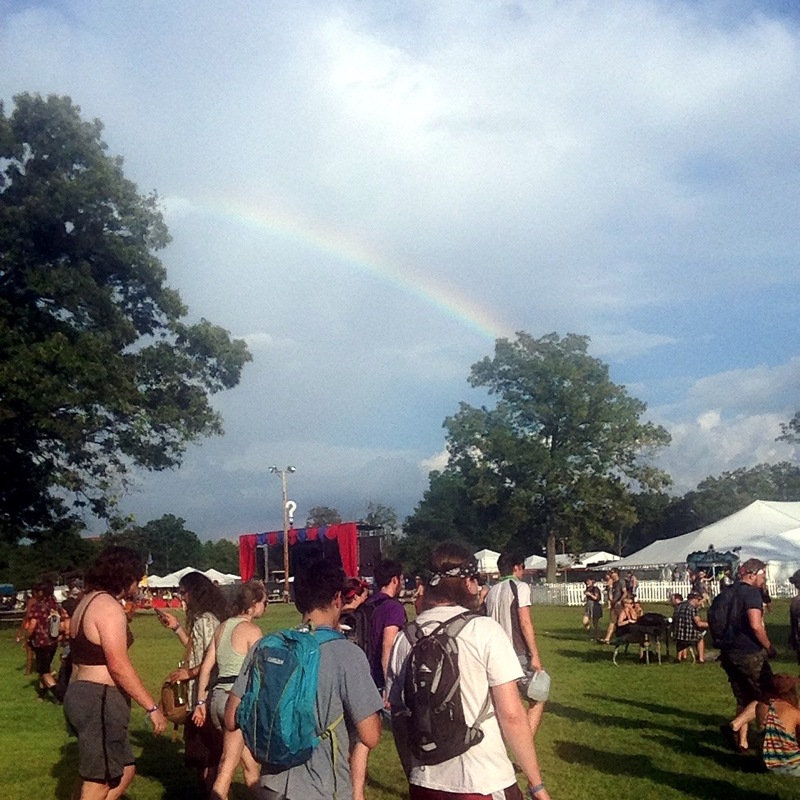 Anyway, here’s some pictures from Bonnaroo. My rear-facing camera is messed up (everything comes out blurry) so I mainly took a bunch of selfies. I will spare you. It rained a bit on Thursday, but then we got this! 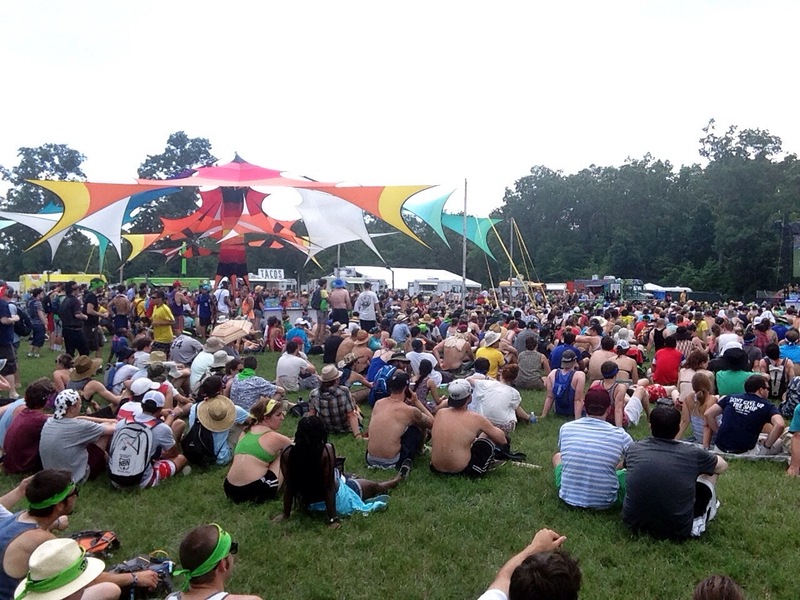 A large crowd was watching the Brazil-Croatia game on Thursday. 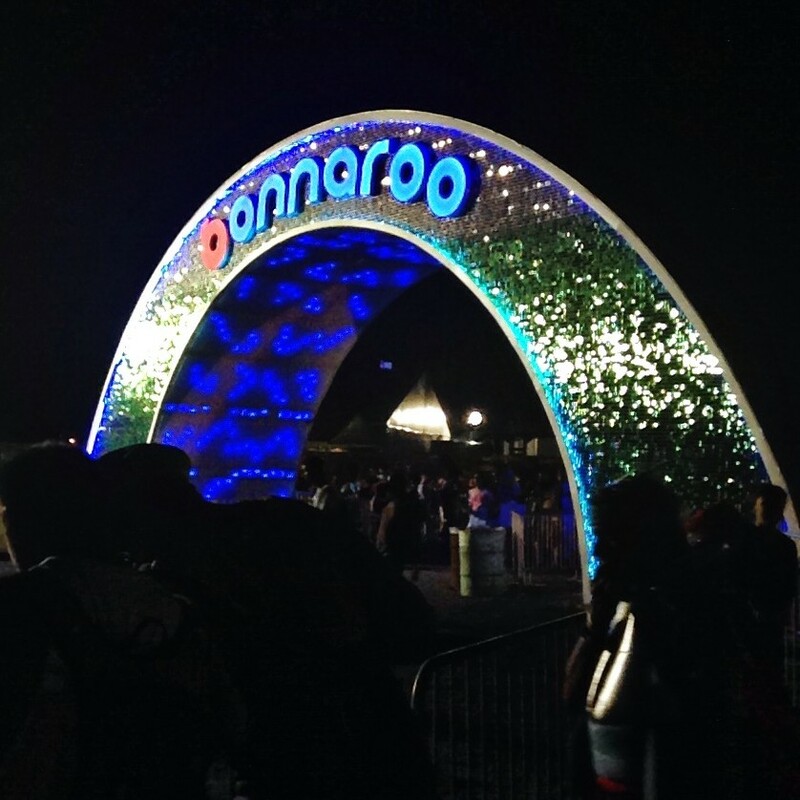 The Bonnaroo arch at night. This entry was posted in Weekly Update and tagged hill skipping. Bookmark the permalink. Pingback: Progressive Runner | Tempo Hill Intervals: Now with Bonus Interval!